120 COLOURlovers viewed this page and think szaboe is an inspiration. 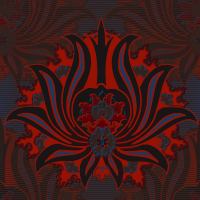 Dark colored patterns are my fave, I was going through my notifications and as this pattern passed by it caught my eye instantly. It's beautiful. Credit must be given to szaboe & HopeFull.